Toronto, Ontario, February 20, 2019 – Compass Gold Corp. (TSX-V: CVB) (Compass or the Company) is pleased to provide an update on the renewal of the permits that comprise its Sikasso Property in Southern Mali. 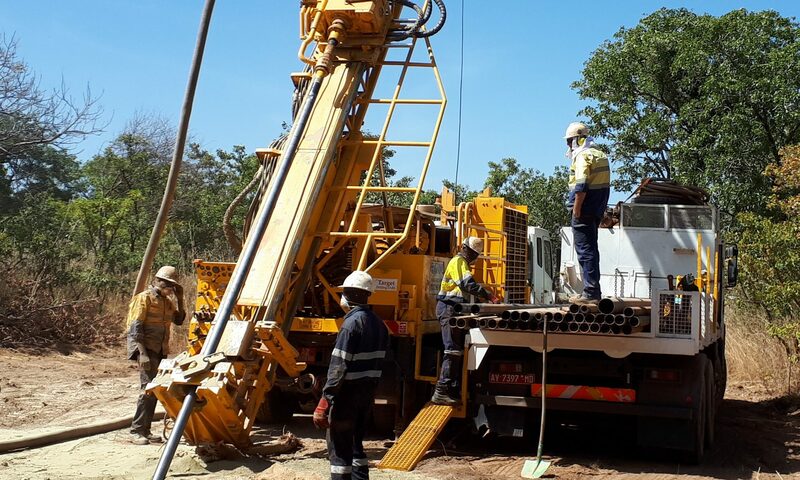 Toronto, Ontario, February 14, 2019 – Compass Gold Corp. (TSX-V: CVB) (Compass or the Company) is pleased to provide an update on the progress of the second phase of bedrock drilling on the Ouassada exploration permit on its Sikasso Property in Southern Mali. I am pleased to report that our 2019 exploration program at our Sissako property in southern Mali is well underway. Thanks to the careful management of expenses, we are able to complete the first three months of this latest phase of exploration work with funds remaining from our 2018 budget. As we have reported, last year, our exploration team in Mali successfully identified fourteen large, high priority gold targets for deeper drilling. All of those targets were located in Ouassada, one of five permit areas that comprise our Sissako properties. This drilling, which we completed in Q4 2018, was focused on just the first five targets and, as a result, we gained some critical knowledge of the mineralized structure going down to depths of more than 100 metres. Several wide significant mineralized zones were found under the very large Farabakoura target. (For details, please see our press release dated January 10th, 2019). Based on this deep drilling – the first ever conducted on these properties – we have learned that the orientation of the mineralized zones is likely along a NW trend at a shallow angle. Before proceeding with further comprehensive and costly deeper drill testing along all fourteen of the Ouassada targets, we will use a combination of some diamond (DD) and reverse circulation (RC) drilling, as well as roughly 65 km of ground induced polarization (IP) surveying. The IP survey will be completed over all fourteen Ouassada targets, plus five more targets subsequently identified from additional data processing and interpretation. The results of the IP survey will provide further assistance in locating the mineralized zones, including their depths, as well as the rock type. In implementing this geophysical survey first, we can dramatically reduce the drilling required to discover the best mineralized zones within the target areas. As our Technical Director, Dr. Sandy Archibald, so aptly put it, “Instead of drilling the barn door, we can focus on the keyhole.